WHAT IF GOD WOULD NOT ALLOW THE CATASTROPHES OF THE LAST DAYS? Though believers look forward to Christ’s return, they do not look forward to the catastrophic events described in the Book of Revelation and elsewhere in the Bible. The “End of the Age” was described by Christ as a time when, “ …there will be great tribulation such as has not been since the beginning of the world until this time, no, nor ever shall be” ( Matthew 24:21). This time of great punishments to befall humanity is described in the Bible as “The Day of the Lord.” The prophet Isaiah tells us that those days of global anguish “…will come as destruction from the Almighty” and “…every man’s heart will melt and they will be afraid” (Isaiah 13: 6-8). In the Book of Revelation we are provided with the shocking details of that horrific time which will bring about the death of billions of humans and will leave the earth in a state of total chaos and confusion. 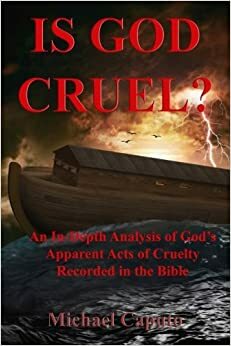 The Day of the Lord is one more event that scoffers use to insinuate that the Christian God is not a merciful God but a brutal and horrible being. Some believers might wonder why such a catastrophic climax is even necessary. After all, they might ask, why would a God of love conclude this age in such a traumatic way? What if God would not climax the end of the age with destruction? What if He would conclude man’s time with a mere peaceful return of Christ without there being all the anguish described in the book of Revelation and elsewhere? First of all, let’s ask why would God show so much fury at the end of the age? Is it simply a capricious decision on God’s part to simply dramatize Christ’s return? Could it be that there is much more behind it all? Let’s note, first of all, that Christ describes the days preceding the time of the end as a time when “iniquity will abound” (Matthew 24:12). In his epistle to Timothy, Paul gives us a more detailed description of the kind of extreme degeneracy that will prevail among humans. “For men shall be lover of their own selves, covetous, boasters, proud, blasphemers, disobedient to parents, unthankful, unholy, without natural affection, trucebreakers, false accusers, incontinent, fierce, despisers of those that are good, traitors, heady, highminded, lovers of pleasures more that lovers of God” (II Timothy 3: 2-5). In short, the inhabitants of the earth at the end of the age will be a very evil, cruel and fierce bunch. Wickedness will reach levels probably never seen before and so will the anguish and suffering that accompanies it. In the end times, the God of righteousness who owns all things, and who has the right to expect from humans whatever he purposes, will bear human degeneracy no longer and will intervene to sober up all of humanity. It is critical to note that the punishments that will befall humans are not sudden but gradual. The intensity of God’s intervention will multiply only because of human arrogance and its stubborn unwillingness to repent. Let’s note humanity’s reaction to the catastrophic plagues that will rain upon them and that will kill hundreds of millions of humans “And the rest of the men which were not killed by those plagues yet repented not of their works of their hands, that they should not worship devils, and idols of gold, and silver and brass, and stone, and of wood: which neither can see, nor hear nor walk: neither repented they of their murders, nor of their sorceries, nor of their fornication, nor of their thefts” (Revelation 9:20-21) . Humans, in those days, will be so bent on evil that they will persist in their evil actions, even though God makes His displeasure more that abundant and evident. Though the great plagues of the last days will serve to show humanity that God will not forebear evil, and that He will finally crush it, they will also serve to introduce Christ to the whole world in a most memorable and dramatic way. Christ foretold that unless He would finally intervene “…there should no flesh be saved” (Matthew 24: 22). Before the whole earth will be totally incinerated, Christ will make His grand entrance with thousands of angels and resurrected saints and will set up His kingdom with headquarters in Jerusalem from where he will assert His power and will over the whole earth. No doubt the end of the age will be a horrific and traumatic time for humanity. Yet such a dramatic conclusion is clearly merited by an exceptionally evil and arrogant world. If God would not intervene with great punishments, human wickedness would reach levels never before seen, as would the human anguish that follows such levels of depravity. Furthermore, God’s reestablishment of His supremacy and standards would not receive the necessary focus, and Christ’s return would not receive the kind of dramatic emphasis it requires. For thousands of years, humans have been left to their own devices. They have chosen to serve the great Deceiver, and the end result has been and will be pain and anguish for untold millions. The great events of the last days are God’s statement that His turn has come to rule the earth, and that He and He alone is God and ruler, He alone is to be worshipped, and only His standards of righteousness must prevail.